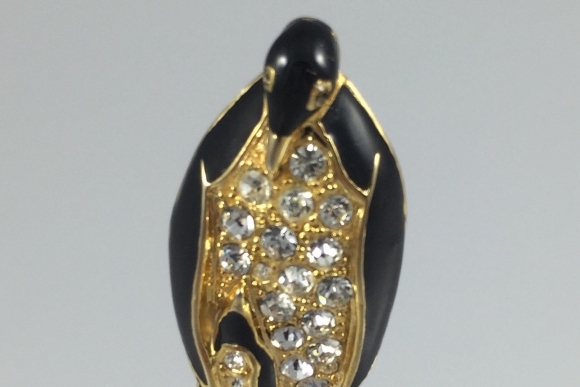 This adorable Emperor penguin with its baby will make you smile on every wearing! 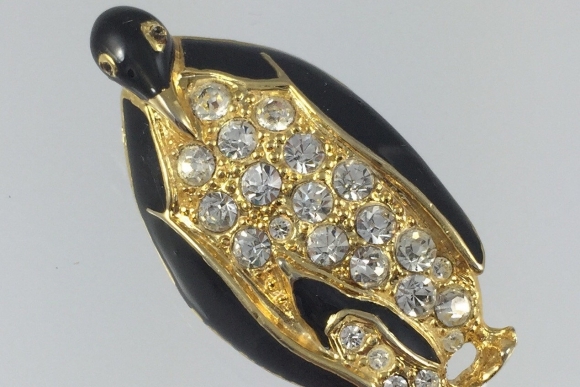 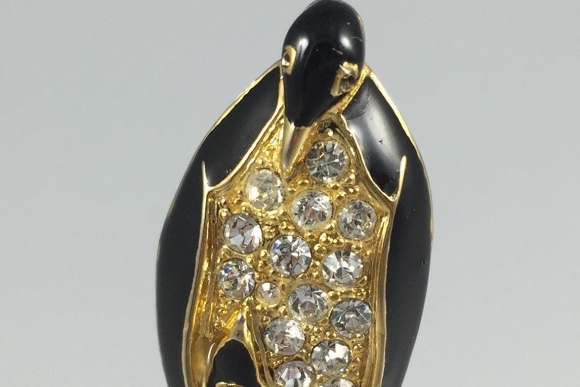 The figural brooch is crafted with black enamel, and crystal clear rhinestones in gold tone. 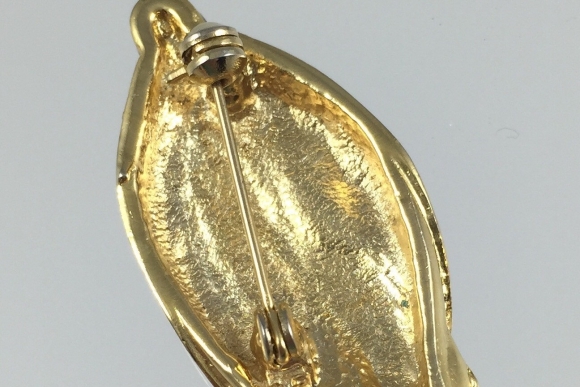 Measures 1 5/8 x 13/16. Very good condition.